Looking after a bonsai tree is not merely a hobby; it is a life-changing experience. But in order to understand the needs of your bonsai plants thoroughly, first, you need to feel their one-of-a-kind origin and roots. And talking about roots, the root system of your bonsai masterpieces requires nothing less than proper understanding, which is interconnected to utilizing the most suitable bonsai soil. To sculpture a bonsai and take care of it successfully, you can’t go without strong roots. Bonsai trees go through enough stress, which increases the need for high-quality recovery as you are constantly shaping their leaves. As a result of that stress, you will rely on a healthy root system, which will give your bonsai the strength and power to stay alive and, subsequently, flourish. Nevertheless, there will be a moment in time when you inevitably have to move your bonsai buddy from one pot to another. And while potting your plants, you are causing them an additional shock. 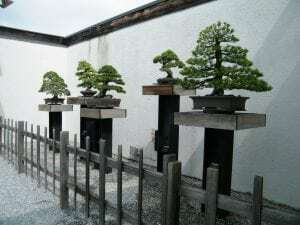 Doing so is both necessary and rewarding for initially shaping your bonsai tree structure in order to achieve that eyegasmic appearance all bonsai cultivators are craving for. It is thanks to the shock that your plants manage to survive and evolve despite all they have to go through. Now, if there are issues with the root system, due to poor maintenance of the soil (or simply low-quality soil), then you risk shocking your bonsai plants to death. And, of course, this is not the type of shock we, bonsai aficionados, want! On another note, applying an unsuitable bonsai soil mix can cause the roots to suffocate, due to the lack of sufficient oxygen, for example. How to Find the Best Soil for My Bonsai Tree? Below, we are digging into the best soil for bonsai which you can easily make at home. Nevertheless, you can always opt for a store-bought, ready-mixed bonsai soil. However, making your own soil is effortless and extremely cheaper than purchasing a particular mix. Thus, you have more room to experiment with adjusting the bonsai soil blend and moreover, for creating the best-fit soil for the bonsai variety you are taking care of. If you are looking after multiple bonsai plants, store-bought bonsai soil mixes can literally burn a hole in your pocket. But what’s way more crucial than breaking the piggy bank is the fact that each bonsai tree variety will thrive in a specific type of soil. Subsequently, mixing your very own bonsai soil can help you nurture multiple bonsai plants varieties from scratch! Want to know how to become a high-quality bonsai soil guru? But first, let’s take an unforgettable delve into the roots of the culture of bonsai cultivation. Yes, as briefly mentioned above, the very word roots apply to bonsai in both a more practical and a more in-depth way. Only when you get to know the idea behind growing a bonsai tree, can you develop a close relationship with your very own bonsai? The homeland of bonsai cultivation – Japan – is notorious for cherishing traditions. Take, for example, the tea ceremony. For the Japanese, a tea ceremony is not simply a gathering or sharing a cup of tea. Instead, this is a ritual, a sacred practice. The tea ceremony represents the respect, loyalty, and dedication a woman will shower upon her guests. Everybody loves to be treated well. But how often do we treat others the same way we would want them to treat us? With bonsai trees, cultivating these amazing creatures is a way to gain new and extremely important virtues, such as patience and understanding. Life is challenging enough, however, when you have a clear mind, all situations can be handled much more effortlessly. And who doesn’t crave for more happiness and harmony? Acknowledging the needs of others tends to get left behind in modern days society. 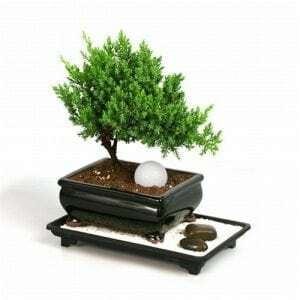 When you get a bonsai tree, you also get an incredible chance to make yourself a better, balanced person. That’s because your bonsai beauty will need you to focus your mind on something unique – exploring and playing with the laws of nature. And nature, in its essence, includes humans, animals, and plants – all living beings on the planet. Shockingly, humanity has reached a point where we no longer remember we are one with Mother Nature. Take, for example, the dreadful plastic massacre. Yes, the situation is nothing but a massacre. Due to our negligence to the problems with plastic, we now doom the coral reefs to extinction. It is none other but a Japanese team of scientists from the Japan Agency of Marine-Earth Science and Technology (JAMSTEC), who headed the mission of evaluating exactly how DEEP has plastic pollution reached so far. And as it turns out, plastic particles were found all the way down the Mariana Trench. The deepest and practically impossible to reach by humans point of Planet Earth as we know it, the Mariana Trench, covers the amazing 10 898 meters (35 754 feet). Species which live in those mind-blowing depths and altitudes have survived for millions of years but now what? We only vaguely know about those astonishing forms of life, which rule the deepest underwater realms. Plastic pollution is threatening their existence and we, human beings, also known as Homo Sapiens, or “wise men”, are about to wipe away unique living creatures all because of negligence. And if you are wondering what’s the influence of the coral reefs on your life and this planet – that influence is HUGE. Do you remember the “The Butterfly Effect” movie? Something as tiny and fragile as the swing of a butterfly’s wings can create waves big enough to awaken a tsunami in the oceans. And while most of the society seems to neglect their role in preserving Planet Earth, the Japanese have always acted exactly the opposite. It is a matter of how people are being brought up and this innovative Japanese kindergarten is an eye-opening example. Thus, the practice of bonsai art, which dates back to thousands of years ago, is a never-ending philosophy of practicing your will and skills day by day with a focus on long-term accomplishments. I was lucky to be a guest of honor in Japan for 2 whole months, after winning a writing contest, dedicated to telling a story about kindness. I say I was lucky and, indeed, if I simply went on a vacation to Japan, I probably wouldn’t have felt the same taste of the culture of this country. It was in Japan when I stood face to face with a real bonsai tree for the first time. Until then, I had only seen pictures of these magical living sculptures but I could not possibly understand the true value of bonsai art. I got to spend my time in Japan staying in different local families. And my very first hostess, Mother Aiko, introduced me to her bonsai almost immediately after walking into the house. I saw in her eyes that this little and magnificent creature is something really special for her heart. She spoke of that bonsai tree as if she was talking of her beloved friend. For her, this was (and actually IS), indeed, nothing less than a real human being. In fact, not merely a human but an old and amazingly positively strong spirit, which is protecting the entire family. Mother Aiko called her bonsai plant great-great grandma Fumi. Great-great grandma Fumi was named after an actual family member – the first one to introduce this bonsai tree into the family. And so year after year, great-great-grandma Fumi has always been a special living being, a warm-hearted guardian, and an infinite thread, connecting generations and turning into a treasured family heritage. And while this sounded way too spiritual for me at first, slowly but surely I realized that there is much more logic and sense than some spiritualism, or religion, or cra-azy beliefs, or you name it, with growing a bonsai tree. When I asked Mother Aiko of what she thinks is the most critical aspect of growing a bonsai tree, she didn’t even hesitate when she quickly answered me it is all begins with a high-quality growing medium. Well, if we look at bonsai from a more practical aspect, choosing the best potting soils for bonsai trees is simply straightforward. You don’t need to dig all that deep into what shaped your bonsai plants’ soil preferences (unless you are a little geeky, like me!). What you actually need to remember when it comes to the potting soil is the golden rule for healthy bonsai plants – and I call this one The Soil Clump Test. All traditional soil mixtures will clump if you take a handful of recently watered soil and compress it between your palms. Actually, some types of soils will clump even without being (even slightly) moist. However, once you have the right bonsai potting mixture, you will notice that even while compressing the mixture between your hands, it won’t clump. Instead, the larger particles will sit in your hands, remaining loose and non-clumpy. So when it comes to soil, you have to know what you are looking for. Most of the experienced bonsai cultivators will go so far as to skip on bonsai potting soil thoroughly. 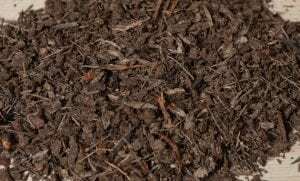 However, mind that organic compost, such as sand, perlite, and peat moss works wonderfully well when mixed with additional components. As a rule of thumbs, remember that the pH of the soil you are working with also plays a huge role in sustaining the healthiness and longevity of bonsai creations. Thus, always check if the pH level of the soil matches the demands of the particular bonsai plant you are dealing with, and don’t forget that pH is a sum up of all the components you will apply. In order to achieve best results with your homemade bonsai soil, simply perform a pH testing before planting your bonsai babies. It almost goes without saying that you should keep measuring the pH levels on a regular basis. As time passes, some soil components will start degrading and influence the pH of the growing medium significantly. Nevertheless, with the additional use of fertilizers, it gets even more relevant and crucial to sustaining a proper pH balance. Different bonsai plants also do have a ranging tolerance to acidic and alkaline environments. PH levels are relatively easy to handle with bonsai trees since they are not the most sensitive to other plants which can quickly become irreversibly damaged due to issues with alkalinity vs acidity. Before potting your bonsai trees, don’t forget to execute the easy-peasy Clump Test to make sure you will stay away from nasty issues, such as root rot. If you notice that the bonsai soil mix you have created remains like a dense hard clump between your hands, then you have outdone yourself with adding way too much organic matter. On the other hand, you don’t want to see the soil being totally loose to the point of being unable to slightly stick together even after watering and compressing. You are striving for a consistency which is able to bond and become uniform but without sticking too densely as to block the right air flow and retain too much water. Meanwhile, as we mentioned above, all bonsai trees will have different growth requirements. Thus, the first and most crucial step in creating a suitable bonsai mix for your plants to flourish is to acknowledge their unique growth patterns. You can imagine your choice of bonsai soil ingredients like cooking a good meal. You can’t just throw numerous pinches of salt and expect to get a decent dish, right? You want to know and utilize the best amount of each ingredient for your cooking fiasco to turn into a gourmet experience. That’s exactly the case with bonsai soil mixtures. As a rule of thumbs, remember that each bonsai tree variety is unique and it has its very own specific demands in terms of suitable soil to thrive in. For example, some bonsai species can grow fairly better in moist soil than others. When growing such plants, you don’t want to opt for a soil mix which is too porous to the point of leading to excess drainage. But on the other hand, mind that most bonsai trees will be much more likely to flourish in soils with a high drainage, as opposed to poor drainage. Okay, so what is bonsai soil made up of? Bonsai soil can be made up of many different ingredients because each bonsai variety has different requirements. However, there are 2 major categories, regarding the components of bonsai soil mixes – organic and non-organic. Organic components include decaying plant matter. But what’s more, organic components in bonsai soil mixtures are much more water retentive. Thus, non-organic components are balancing your perfect bonsai soil mix with their amazing water retention rate. In fact, some modern days bonsai cultivators claim that growing bonsai entirely in a non-organic matter, such as high fired clay and other material on the non-organic side, can create a wonderful environment for particular bonsai species which are especially picky about water retention rates. Thus, you can easily water your bonsai beauties multiple times per day without worrying about over-watering. So all in all, there is no one-fit-them-all perfect bonsai soil! But understanding the properties of the different possible components will help you create the best mixture for your bonsai plants, which is great news for bonsai cultivators of all levels. Moreover, as you are gaining experience through time and practice, you will gradually become more and more aware of how to choose and mix the most suitable components. Let’s check out the top bonsai soil ingredients you can utilize in your bonsai garden! Conifer bark is such an intriguing component in bonsai soil mixtures because it unites 2 amazing features in 1. On the one hand, conifer is great for retaining moisture as not to allow the roots of your bonsai trees to become deprived of essential water, which is needed for the transport of elements throughout the plants’ body. But on the other hand, conifer is also great for blocking any excess water staying intact in the soil for so long as to cause the wet feet effect on the roots. Conifer bark allows extra water to drain, instead of remaining intact for too long. Nevertheless, conifer bark is also a favorite bulking agent, which means it makes the bonsai soil mixture much more compact. Peat moss or humus is an essential component but it is crucial to use it with moderation. Humus is able to hold surprisingly huge amounts of water for a very extended period of time. 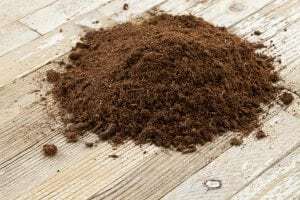 Thus, if you put too much peat moss in your bonsai soil mixture, you risk reaching unfavorable levels of water retention. In fact, hummus is what holds the most water ratio of all other components. And so, when utilizing peat moss, you only need to use little at a time. Remember that you are applying peat moss the bonsai soil mixture predominantly as a bonding agent. Yes, hummus is great for binding the rest of the material together. 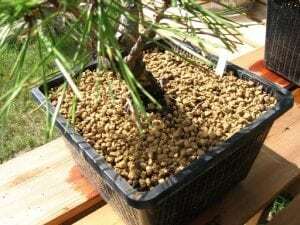 Keep in mind that binding well all the components in your bonsai soil mix is really essential. If not bond, different particles will shift as the roots are growing and this will make for an inconsistent soil environment. But above all, use peat moss sparingly or it can do more harm than any good to your bonsai beauties. You can add a suitable quantity of decomposing plant matter to utilize as food for your bonsai plants. Nutrient-rich bonsai soil is way more efficient for growing strong bonsai plants, especially as we know how much training and sculpting bonsai trees are going through their whole life. Of course, additional fertilizers can work perfectly well but decomposing plant matter is superior due to the fact of being organic, and thus, environmental-friendly. You shouldn’t overdo yourself with adding too much decomposing plant matter, though, as it may also retain some excess water while gradually getting decomposed. Subsequently, if you choose to utilize decomposing plant matter, it is best to start small and work your way up, according to your plants’ needs and desires. 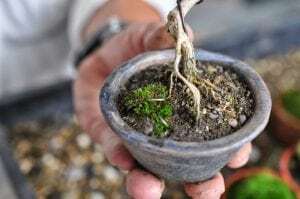 We already discussed above the major thing you need to keep in mind when it comes to potting soil for bonsai trees – the Clump test. As simple and effortless to perform as it sounds, the clump test will save you tons of trouble to prevent eventually adding too much potting soil, holding too much water. Nevertheless, water retention is something which also changes as time passes, meaning the water retention rate of your bonsai soil mix will be at one rate at the very beginning of planting your bonsai, and then end up at another rate when the time to pot your bonsai again kicks in. The inorganic components in bonsai soil are priceless for their ability to provide an excellent aeration. Reliable aeration = strong root growth. And while organic components break down in time, non-organic ones do not. It is exactly because of those porous properties of non-organic material why bonsai cultivators literally worship that kind of bonsai soil components. The aftermath of non-organic soil mix ingredients makes up for a suitable water retention rate, which, however, remains unchangeable through time and is not prone to condense or break down. That’s also one of the reasons why bonsai cultivators are often looking upon cactus soil for bonsai. Both cactus plants and various types of succulents will flourish in cactus soil because it does not contain any organic components, which can possibly lead to lack of drainage. Instead, cactus soil can be suitable for bonsai plants, as well, due to its ultra porous properties. So yes, if you have stumbled across DIY bonsai soil mixes recipes that pretty much resemble the same soil mix you are using for your cactus plants, you can rest assured that this is not simply another marketing strategy but a well-tested practice through time. Now, let’s take a look at the rest of the non-organic components which can be beneficial to adapt as part of your bonsai soil mix. Turface is widely-used in the underline of golf courses, for example. Nevertheless, baseball playgrounds are also commonly utilizing the special powers of turface. But what makes turface unique? Turface works like charm for providing ultimate aeration. As a result of the air flowing freely and properly, the grass, which is growing in baseball fields can flourish and remain vital and strong. It is pretty much the same when it comes to your bonsai plants, being aficionados of sustainable aeration. 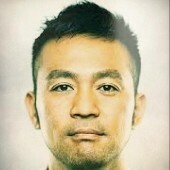 At the very first sight, it is very easy to confuse turface with akadama since their appearance has much in common. 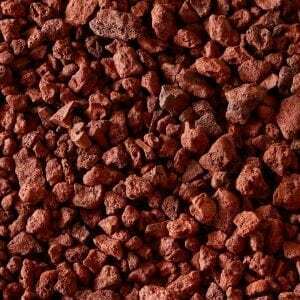 The popularity of lava rock material as part of blending the perfect bonsai soil mix keeps increasing. That’s because lava rock is not merely amazingly porous; it is also astonishingly coarse. As a result, lava rock components won’t break down for a very long time, and this works wonders for sustaining the healthy root system of bonsai plants. But lava rock is not new on the stage of gardening. Many growers praise lava rock as a top coverage over the surface of the soil in the garden. 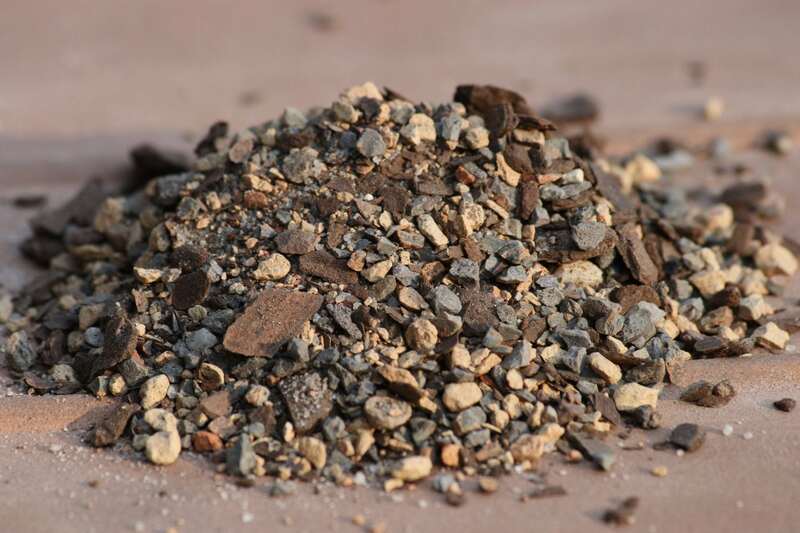 When it comes to bonsai cultivation, though, you don’t need lava rock simply on the top dressing of your potted bonsai; you want to utilize it as a marvelous aggregate instead. Although we are listing akadama after lava rock and turface, this absolutely does not mean akadama is less of anything perfect for your bonsai mixes. 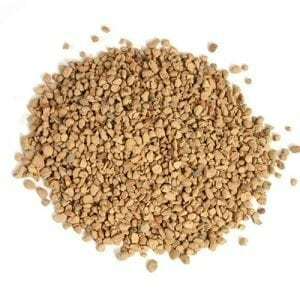 In fact, akadama is considered an obligatory component for creating the best bonsai soil mixes. Essentially, akadama is fired clay which is all natural and feels hard to the touch. One of the top properties of akadama is the magnificent water retention rate that it possesses. Contrary, there is only one major problem with akadama – it will break down in a few years, as opposed to lava rock, which will last much longer. 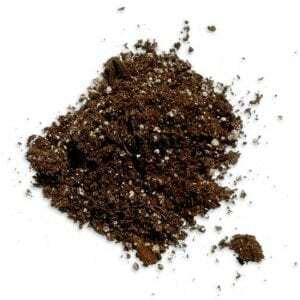 Thus, when searching for akadama bonsai soil for sale, it is mandatory to purchase this important component from a reputable retailer. High-quality akadama can last up to 2 years more than poor-grade ones, so don’t fool yourself into thinking that saving a few bucks from the akadama you choose will be your best move. 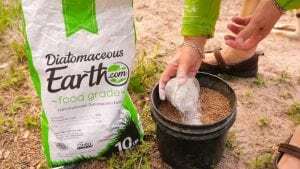 Diatomaceous earth is not the most popular alternative to mixing your very own bonsai soil (or an ingredient to look for when choosing a store-bought bonsai soil mix). Most companies, producing bonsai soil mixes rarely add diatomaceous earth because the rest of the non-organic components are simply superior. However, if you happen to live in a location, where you cannot find any of the recommended bonsai soil components listed above, diatomaceous earth can still do a pretty decent job for your bonsai garden. Typically, diatomaceous earth is commonly referred to as Oil Sorb and it is used by mechanics for the ability of the diatomaceous earth to absorb oil amazingly well. Thus, when spread on the ground in a facility, diatomaceous earth does the trick to absorb the oil which gets spilled on the floors. The way the diatomaceous earth works for bonsai trees is very similar, only in this case, the absorbing properties of diatomaceous earth are used to provide water retention. Meanwhile, this type of component keeps its coarse shape, which is great to support healthy root growth. What are the Proportions of the Components for Creating your Own Bonsai Soil Mixture? As we already mentioned, there is no such thing as a perfect fit soil that works equally well for all bonsai varieties. However, once you know the type of bonsai tree you are working with, it will be much easier to mix your own soil, according to the demands of the plant species. In tropical (also known as subtropical) mixes, you can find various quantities of some of the major components. More often than not, akadama will take about ⅖ of the whole mixture, while equal ⅕ will be transferred between, for example, pumice, lava rock, and pine bark. Conifer mixes, on the other hand, utilize a greater part of conifer components, hence the name. What is important to remember when it comes to both tropical/subtropical mixes and conifer mixes, is that there are numerous subcategories to each of those 2 main categories, made for fulfilling the needs of your particular bonsai tree type. Furthermore, both tropical and conifer mixes are praised for their ability to let air freely come in through the roots, supplying enough oxygen while also promoting an excellent water retention rate. However, even with the superpowers of tropical and conifer mixes in terms of aeration and water retention, you can’t go without the need of reliable holes at the bottom of your pots, as well as an additional screen, which serves to stop the overflow of soil with heavy watering. And while there are no strict proportions of the soil components to fit every type of bonsai plant with no exceptions, there are still some basic rules you can keep in mind. Do you want a balanced ratio of organic to non-organic components, mixed with some grit, right? So, for example, if you are want to utilize a Basic Bonsai mix, you will need about 50% of akadama or turface, along with 25% of either lava rock or diatomaceous earth and an average of 25% of organic compost. On another note, if you are opting for a Tropical Bonsai mix, then you want about 40% of akadama or turface, mixed with no less than 25% of lava rock or diatomaceous earth and about 35% of organic compost. A Conifer Bonsai mix will consist of about 60% of akadama or turface, mixed with about 30% of lava rock or diatomaceous earth, and finally an average of 10% organic compost. Yep, we already briefly commented on bonsai plants’ diverse needs range in terms of proper drainage. Here is the ultimate rule for drainage and bonsai plants that all bonsai cultivators must know by heart. Proper drainage of the soil, and especially the drainage bonsai trees want, cannot be achieved solely through poking a few holes at the bottom of the pot. Instead, your mini tree creations want to stay away from the “wet feet” effect. If you use traditional soil instead of soil mixtures with suitable drainage, you risk exposing your bonsai to root rot. No bonsai can live with rotting or rotten roots. Thus, sometimes, many newbie bonsai growers do their bonsai trees more bad than good for watering them too frequently. But the worst-case scenario for the development of your bonsai creations is none other than bad soil. With good bonsai soil, even excessive watering can be handled well by the trees. However, that also doesn’t mean you can be negligent about your bonsai plants’ watering schedule, okay? Graham Potter is quickly becoming a legend among bonsai cultivators because of what he does to bonsai trees is merely mind-blowing! From reviving old and damaged, literally seemingly dead bonsai plants, to showing amazing methods for cultivation, such as burning bonsai plants to achieve a particular look or cutting intricate hollows in the very center of bonsai plants – Graham Potter is a bonsai master, that’s for sure. But next, it is vital that bonsai cultivators really know what’s inside their soil mixtures. And while we can keep reading labels all day long, that doesn’t mean there is no additional dust or other “bulking” agents inside store-bought soil mixtures. Bonsai plants are extremely sensitive creatures and even if some dust won’t do much harm to any other types of plants, it can be very limiting in terms of cultivating your bonsai creations in the best way. Graham Potter also recommends that every bonsai connoisseur should not be afraid to experiment with creating the most suitable conditions for the precious bonsai beauties, including soil. With years of experience and after each trial (and even sometimes error), you simply become a better bonsai cultivator, that’s all, folks! Apart from the main components in bonsai soil mixtures, there are also 2 other major categories of bonsai soil you can stumble across – Tropical (also known as subtropical) Mix, along with Confier, and Orchid Mix. We already discussed the benefits of tropical and conifer mixes, so now, we will take a closer look at Orchid Mixes. Much like cactus soil can be suitable for particular types of bonsai plants, it is pretty much the same with the orchid potting mix. In order to flourish and grow multiple eye-catching exotic flowers, orchids need an amazingly high oxygenation of the roots, along with an excellent water retention rate of the soil. And this is something that both bonsai trees and orchids have in common. Thus, orchid potting mixes have been quite popular among bonsai cultivators. 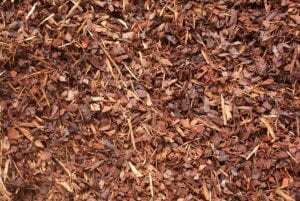 The orchid soil mixes consist predominantly of both charcoal and bark, although there are also some other additives which are typically used to further increase the excellence of the soil. The decently-sized particles in orchid potting mixes make up for that drainage and aeration we all want as bonsai growers. Thus, an orchid potting mix can be easily utilized as a major component in mixing your very own perfect bonsai soil. However, no matter how amazingly balanced is your bonsai soil mix, you can’t go without taking into consideration the rest of the essential elements, which will guarantee your plants’ well-being. These specific requirements also apply to the amount of light each bonsai tree type needs, as well as the best watering schedule and fertilization, among others. But the Holy Grail of providing the best soil for your living trees art to thrive – DRAINAGE + AERATION + MOISTURE RETENTIVENESS. The roots of bonsai will not survive even if the drainage is spot-on, in the case aeration is poor. As a matter of fact, it is aeration which is considered the first factor to keep in mind when it comes to bonsai cultivation. It is oxygen which allows your bonsai trees to produce the much-needed food for their development. For this purpose, your bonsai soil mix must consist of particles, which are large enough to let enough gaps of air to penetrate along. But then again, aeration and drainage are amazingly intertwined and the one cannot go without the other. And isn’t this just another proof of the unique balance that bonsai trees teach us to adapt? Thus, the third factor which forms the well-being of your bonsai creations in terms of healthy roots and the perfect growing medium is none other but water retention. Water retention is crucial because once again, you are searching for balance. On the one hand, your bonsai soil should be able to hold a particular amount of water as your plants will need it to fulfill the process of photosynthesis. But on the other hand, too much water will end up with eventually suffocating the roots, due to possible mineral build-up, as well as poor aeration of the particles. No matter how perfect is the size of the particles in your bonsai garden mix, high water retention will inevitably lead to poor aeration. If you are just getting started as a bonsai cultivator (or if you have just recently had some unsuccessful bonsai cultivation attempts) please, don’t let discouragement plague your heart. It is exactly because you shouldn’t let yourself feel perplexed or insecure about bonsai growing, why I shared with you the story of Mother Aiko and great-great-grandma Fumi. You see, according to the Japanese, bonsai art leaves no room for fake perfection. Instead, it teaches you dedication, patience, and as a result of those qualities, balance and harmony flow in your life with abundance. And in order to reach that balance and harmony, one must be open-hearted and open-minded. Plants are living creatures and they will always show you when something wrong is going on. Every mistake is simply a lesson which makes you progress with bonsai art. Everything in bonsai carries a meaning; there is this sense of a sacred ritual and practice, which raises your creativeness, your commitment, your entire existence. The dance of simplicity is represented in those tiny but so invaluable sculptures, where your mind is imprinted as the creator of bonsai art, of that bonsai tree masterpiece. But before you reach that magic and get showered with the harmony of bonsai, there are much more practical aspects to take care of. What’s important is to keep going – bonsai is for everyone just like happiness is for everyone! Okay, so, apart from the suitable soil mixtures, also, don’t forget that potting your plants is an intricate part of bonsai cultivation. Mother Aiko said that potting is a small test of your current state of mind. You have to handle your mind well, or potting your bonsai trees can easily turn into an unsuccessful and painful procedure for your plants. And then again, however perfect you are with potting, you can’t possibly do any good in the absence of…good soil! Once again, every process of looking after bonsai plants is deeply interconnected. Now, when you are on the brink of understanding and utilizing better the most suitable bonsai soil mixes, you also need to take into consideration the need of getting equipped with the right tools. Bonsai soil cannot be simply mixed and applied to the growing pot. When you are creating your premium bonsai garden mixtures, you want to have the right tools. And here is exactly where bonsai soil sieves kick in. A sieve (also known as a sifter) will help you remove any unwanted material from the basic components that you are employing in your mix. That includes both dust and other naughty impurities you want to keep away from interacting with your bonsai plants. Grass and other plant matter are easily left behind in various soil components. But then again, it is useless for the producers to remove those particles since not all of the people who will purchase those particular soil components will be attending bonsai plants. Anyway, in the case these unwanted mini particles are present, this can worsen the drainage, as well as the aeration, all along with the water retention rate of your soil. However, it is also important to remember that if you opt for a store-bought, ready-to-use bonsai soil, the manufacturers should have already removed all unnecessary pieces out of the soil by sieving it in advance. Thus, additional sieving will only worsen the quality of your soil, instead of improving it. Just make sure you check the description of the mix thoroughly and you will get informed on whether or not this particular soil needs extra sifting. When it comes to your own bonsai mix, though, sieving the soil can only benefit you and reward all the efforts you are going to put in cultivating your plants. There are different sifters variations, which range from those with small to those with larger holes, as your bonsai plants will require a different-sized particle for each stage of their development. For example, if you have a small potted bonsai plant, you will want small particles present in the soil. Meanwhile, if you are taking care of bigger potted bonsai trees, subsequently, you will need bigger granules. It is also good to remember that sieving your bonsai soil is not considered a must. But honestly, as far as my bonsai growing experience has pointed out, sieving does make a whole lot of difference in the overall health and sturdiness of the plants. One last but also often underestimated aspect, which is closely related to bonsai soil, is utilizing the right pottery for your plants. When talking about the right pottery, that includes both the dimension and the material, from which the pot is produced. Ultimately, creating bonsai pottery is not a simple process at all. Bonsai pottery masters take years of practice in the niche and they admit this craft requires a vast know-how. There are 3 major categories of pottery material, which are listed as suitable for bonsai plants. These include terracotta, porcelain, and stoneware. Any other pottery material can spell disaster for your bonsai cultivation operation. You can imagine the importance of a suitable pottery along with suitable soil much like choosing good shoes and socks for yourself! I know this sounds strange at first but can you picture yourself working all day with some stinky shoes and even stinkier socks, made of low-quality materials? I bet you won’t be playing the happy feet dance, that’s for sure! So don’t make your bonsai plants feel horrible due to improper pottery and poor-grade soil mix because it will not be worth your efforts as a gardener. Mother Aiko told me that bonsai plants are wise like old people with souls of innocent children. They will, indeed, be willing to forgive all your mistakes as a cultivator but the least you need to start with is a suitable base. Apart from providing the right conditions for the type of bonsai variety you love, you want to make sure you have provided your bonsai babies with the perfect growing medium to help them become strong and less prone to multiple threads and issues. And slowly but surely, little by little, bonsai will grow its roots deep into your heart, where love and peace reside, waiting to be re-discovered.